Soul refreshment in progress at the Ruegg house this week. A dear friend is visiting us from Florida. I’ll be back next week with a new post! Enjoy your visit. Nancy, I have a group of 56 ladies, we are Friends for Fun and have so much fun. It has developed into a wonderful time with friends. M. and I had a glorious time; it was just too short! I see you on FB with your Friends for Fun and can tell you girls have a ball with each other. Kudos to you for developing such a tight, supportive, joy-filled group. Thank you, Cheyenne! I am honored. Praise God you find inspiration here! Indeed! I’m so thankful for the Spirit-filled, supportive, and fun friends God has brought into my life over the years. 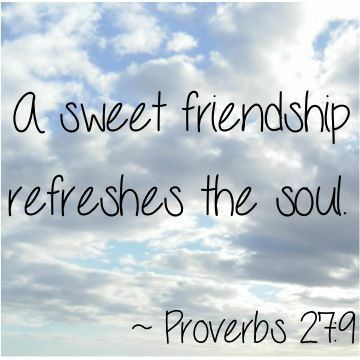 To think those friendships will endure into eternity is another incredible blessing. Hope it was great, Nancy. You are a world-class friend! I”m sure you enjoyed your time together! We did enjoy several superb meals, much delightful chat time, and some productive bargain shopping!